Assalamua’laikum my beloved readers. Hope all of you are in a great health state. Please take care of yourself due to the increase of temperature in Malaysia. Make sure to drink a lot of plane water yup. Last Tuesday, Hai Blogger members were invited to the launch of Zarra Sinar Putri new product, that was their MagicRed. This event was held at Lim Kok Wing University, Cyberjaya. This was my first time came here and I just felt that I’m in Dubai, many foreign students and many of them were also participated during the launch. The events started at 3.00pm with Aril AF as the emcee. For your information, Zarra Sinar Putri is own by Datin Zamzarina Zambri, RTM famous tv personality. She decided to make Zarra as the replacement for her skin care range and tried to other women her secret to have youthful skin until now. She is concern in saving women from being the cosmetic bad effect. Good job Datin.. Therefore, Zarra Sinar Putri now is launching the MagicRed Whitening Cleanser that contain 4 in 1 function: Cleansing, Toning, Moisturizing and Whitening and Elizabeth Tan as the ambassador for MagicRed. Elizabeth or can be known as Lizzy is famous with the “Knock Knock” song. These event was exclusively invited through Hai Blogger Comunity Club, and here are some of the members. 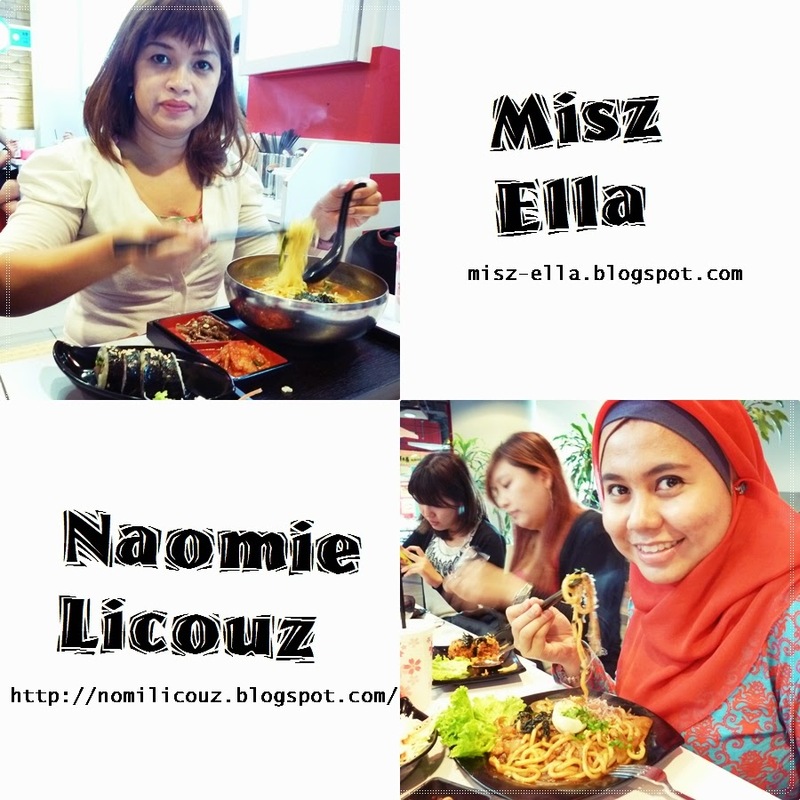 :) We are the Beauty Bloggers from the Hai Blogger. From left: Me, Ayue Indris and Syafiera Lewis. We are with Datin Zamzarina Zambri, the owner of the Zara Sinar Putri. She is such an elegance and beautiful woman. 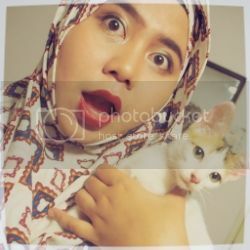 Hope one day I will become like her too.. Tinggi dah sama tuu..
Okey folks, that's all for my report now. Next I will write a review on MagicRed Whitening Cleanser. Wait for my next entry. Bismillah Assalamua'alaikum Everybody dreams to have white clean and shiny teeth. But not of us can achieved that kind of teeth that they have wanted, same for me. During my little time, my mum always said that must brush you teeth before going to bed. Well you see, children always not listen to their parents. After eating everything sweet and salty junk food, I just went to sleep directly. Thus, I have teeth and gum problems. Thank God,all the problems now have settle. 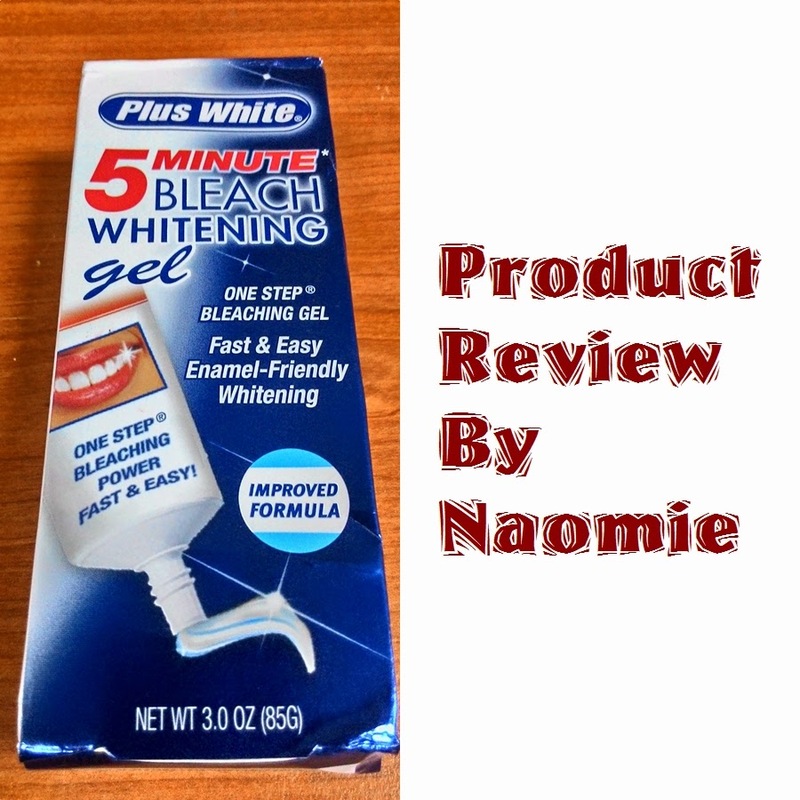 What left is how to whiten my teeth?Recently, I found this item that I got from Supermodel Secret called 5 Minute Speed Whitening Gel, One Step Bleaching Power Fast and Easy. Water (Aqua), Glycerin, hydrogen peroxide, carbomer, PEG-60 Hydrogenated Castor Oil, Flavor, Sodium Saccahrin, Potassium Stannate, Dissodium Pyphospahate, Etidronic Acid, Ammonium Hydroxide. Please read before you used this products. Do not swallow the gel. In case of any accidents, seek for professional assistance immediately. If the gel comes contact with the eye, rinse off immediately. This product is not recommended for children age 12 without any approval from the dentist. Don't used it while sleeping. Do not use it if you have gum disease, using braces, have receding gums or sore gums, have cavities of any allergic to the ingredients. If you have any doubt, please refer back to your doctor. Stop using it if you have any experience of burning sensations, sensitivity gums, mouth, or tissue damage. This products will not whiten caps, crowns or veneers. Please keep it store out from direct sunlight an avoid excessive heat. 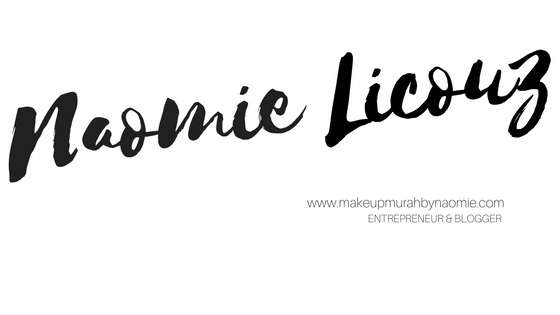 If the gel is liquified, do not use and contact the manufactures immediately. 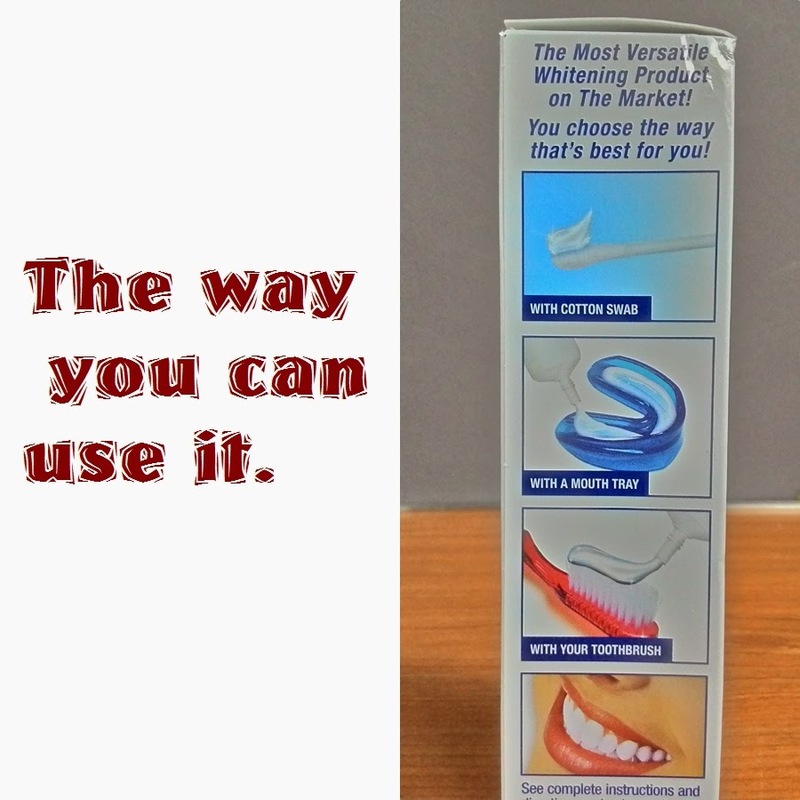 These are the direction of ways you can use the gel, either using cotton swab or just normally brushing your teeth, or using a mouth tray and kept it onto your mouth. For me, I prefer brushing my teethe normally using the gels. Choose one of the above bleaching application method to apply the gel to the surface of the teeth that you wish to whiten, Allow 5 minutes for the bleaching action of the gel to take effect. For every stained teeth, keep the whitening gel on your teeth for 15-20 minutes. Immediately after the desired time is reached, rinse the gel from mouth with cool water. Follow the above instruction twice daily for the first two weeks. After that, use the products once of twice a week or several time in a month as needed to maintain the desired whitening level. the gel is clear, thick gel. Easy to apply to your teeth. From my experience using this products, it gives me moderate effect. My teeth is not turning to white completely, but I can see the teeth does not gives the yellowish effects if I'm on the camera. May be, because of the stained has been bleach off by the gel. This gel does not gives me any burning sensation, not bubble at all, not like the regular tooth paste, it will turn into white gel after applied it onto the teeth. Make sure not the swallow the gel because it may cause you stomach ace. I know, because I've been there. hahaha.. I just used it for 2 week, not much changes that from my teeth. I just felt that my teeth was being bleached, but not whitening. That's all from me guys, I hope this information is useful for all of my readers. Do not hesitate to ask me anything. See you in my next blog post. Annyeong.. 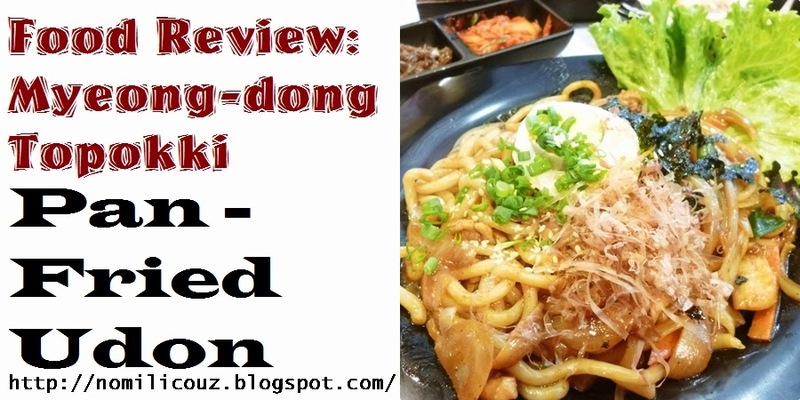 It's been a while for me to write up this food review. 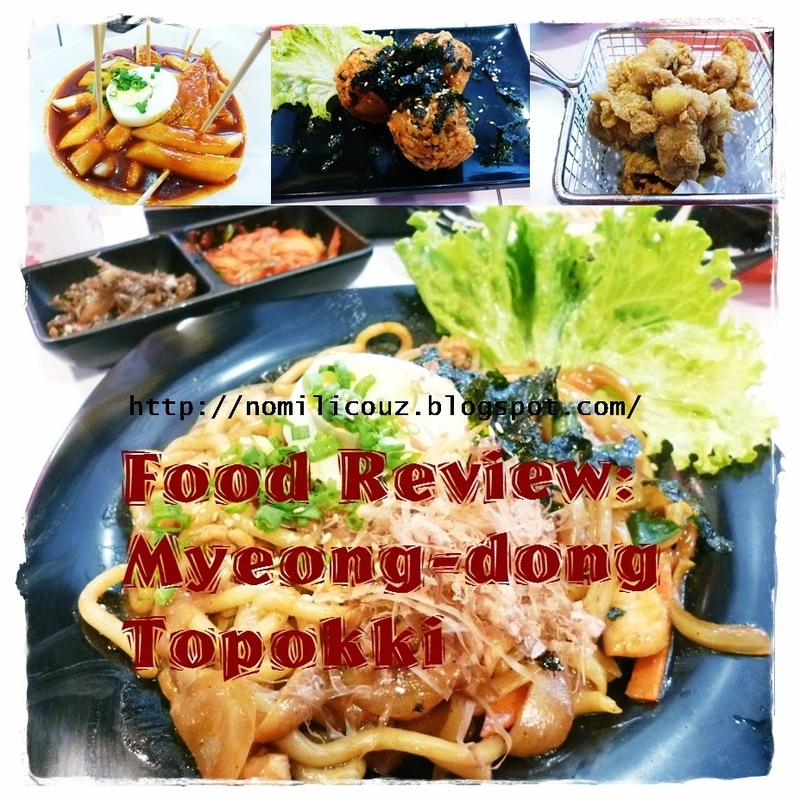 Me and Hubby were invited to eat up and try out Korean foods at Myeong-dong Topokki at Asean Avenue Sunway Piramid. This is a type of Maggi Mee, but this time, it is mixed with Cheese. I'm not sure what type of cheese it's used, but my blogging partners said, it was great. 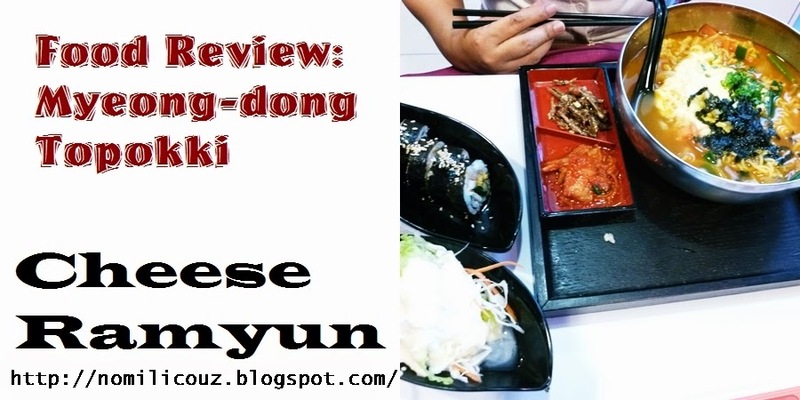 Myeongdong serves this with other side dish such as Kimchi, Sushi, salad and ikan bilis with nuts. This is a mixed of Kimchi and Rice, but I was told by the owner, this was not using ordinary rice. It was imported directly from Korea because their rice have this sticky effect and much fatter and rounder than our rice. It's taste much differ compare to Kimchi itself because it does not taste sour at all. 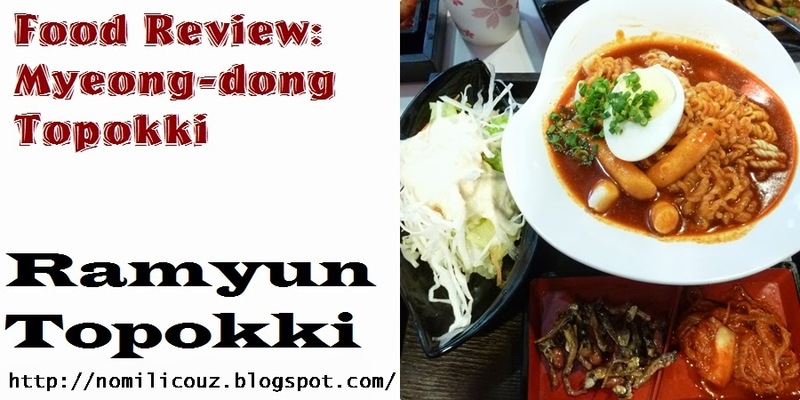 Topokki is a type of korean street snack, but this time, they innovates the topokki by inserting with ramyun. The sauce is originally the topokki sauce, for me the sauce is quite spicy. The topokki actually made from wheat flour because it taste like it. Comes with Salad, Kimchi and Ikan bilis with nuts. 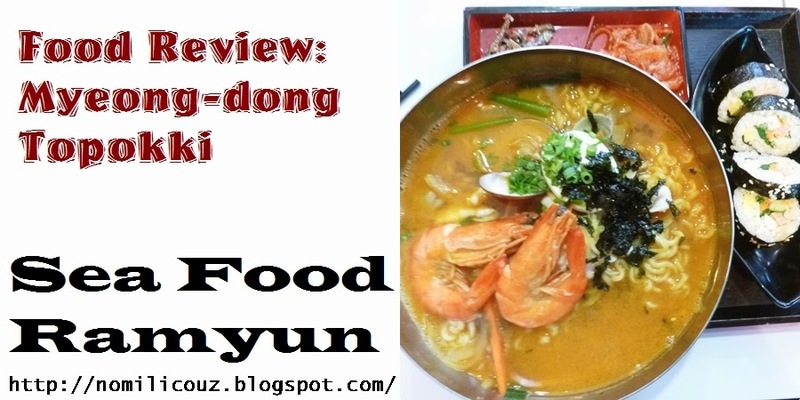 Next is Ramyun Sea Food, this ramyun is serve with big prawns others sea foods. 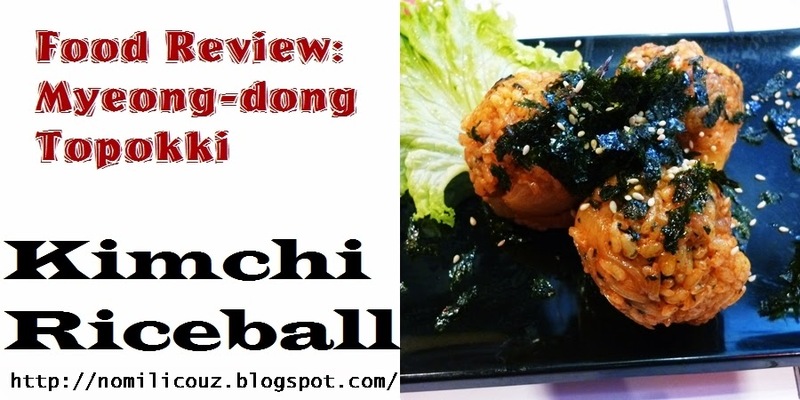 Serve with sushi, kimchi and etc. 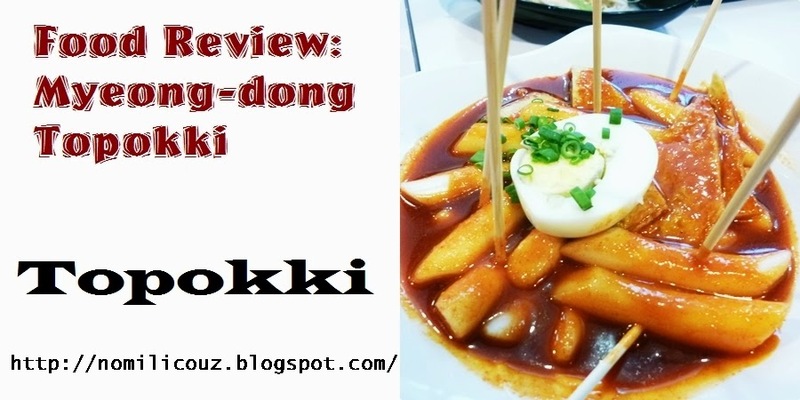 Original topokki, for Koreans this is a must for them. Just like eating the Pisang Goreng. The sauce is quite hot. So, make sure to prepare cold drinks besides you. So, this is my partner in crime, Sis Ella. And experiend blogger. Yah, Gamsahabnida unni and Gamsahabnida to Ivy from Food Malaysia and Gamsahabnida to Cloe the Myeongdong's Owner for having us to try out your Korean foods. We really enjoyed it. To find the right skin care that suits your skin is a tough job to do. One may experienced bad affect to their face and skin. If that happen, I suggest you stop using that kind of products. 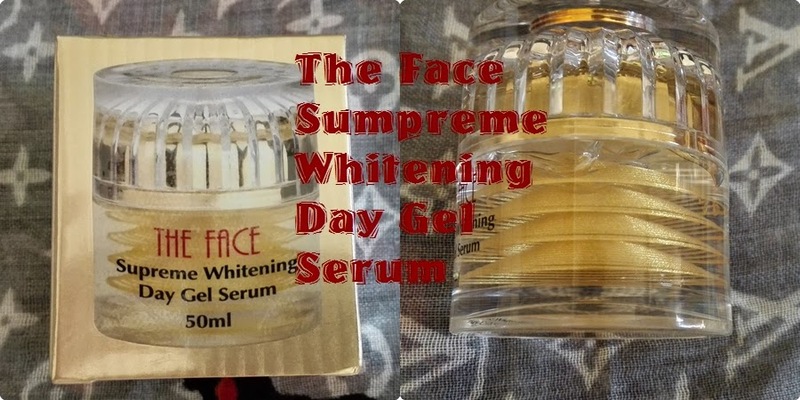 Recently, I've been using The Face Supreme Whitening Gel for day and night and also Dr. Herbal Whitening AB Cream. Both of these products are from Citra Mulia. For those who don't know what is Citra Mulia, this a beauty company that distribute these products and Ashley Milano hand and body lotion in Malaysia. I've done the review on the lotion here. -Gunakan setiap hari waktu pagi dan malam, dan akan mendapat kesannya selapas penggunaan 7 hari. ~ Menghilangkan kedutan pada wajah. ~ Menghaluskan dan memberi kelembapan semula jadi bagi wajah. These information are from the template information that they gave me. After 6 weeks using these products, I have noticed that my acne are reduced and my skin become more fairer and moisture. 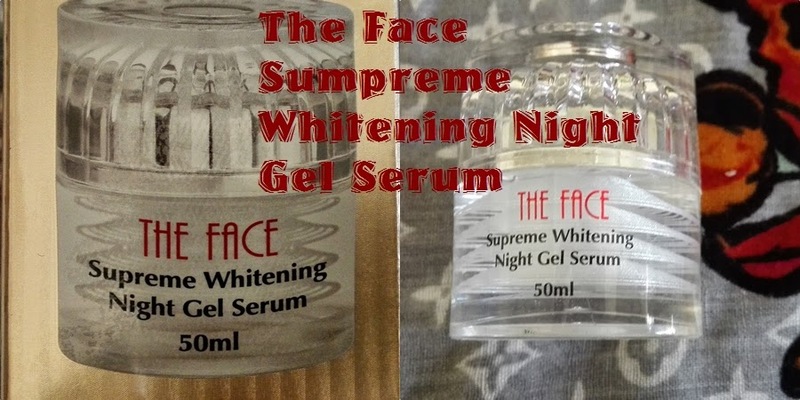 The Serum Gels gives my skin the hydrating kind of feeling, which is great! 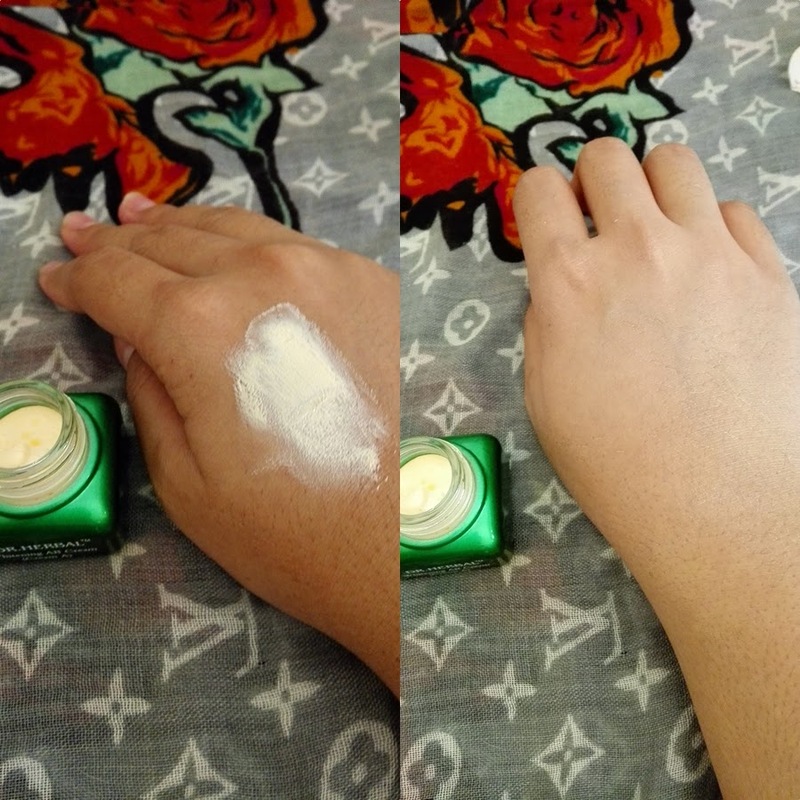 Before this, I have a combination skin problem, that gives he a hard time to choose the best skin care due to the sensitivity of my skin. If the products have so much chemicals, my skin will start to show some problems, such as dryness and the acne will started to grow. But luckily, these products are from the natural sources , that makes me confident to try it out. At my first weeks trying out these products, my acne started to shrink. I am so happy with the result shown and decided to continue for another week. 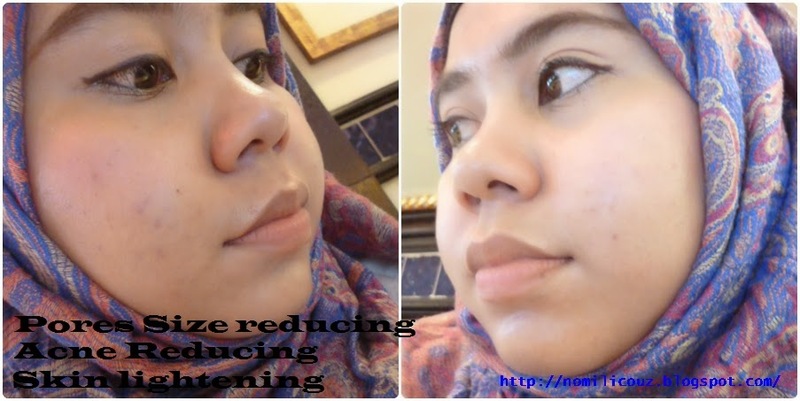 2nd week using it, my skin tones began to even throughout the entire face and neck. For those who wear the hijab will understand. We tend too have strips at our cheek area due to the sun rays. 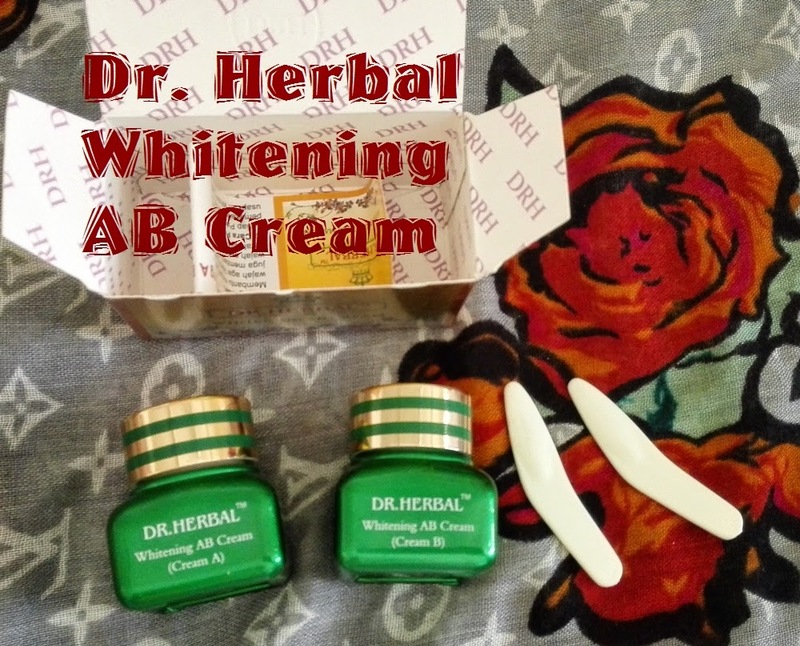 Luckily, these creams helps me to even the skin color and reduce all the pimples, acnes, and pigmentation. All right then, hope this review will gives all of my readers the benefits, and hope you can try it out yourself. Happy Sunday people. For those who want to find a nice and warm place to chill out with their buddies, The Ballroom at NuSentral may be the right answer for that. Laft Friday, it was the grand opening for the new outlet The Ballroom at NuSentral. It was located at Level 4 NuSentral. If you have the difficult time to find where is this NuSentral, just head to KL Sentral because it is located near or can I say it is connected with KL sentral. I just played half game with Sally. A bit upset with my bad performance last night. I just got 2 strikes and besides that just a left turnover for me. Huhuhu.. But anyways, now I have 2 free tickets for me to play there for free, and to improve my performance in bowling. Yippie.. 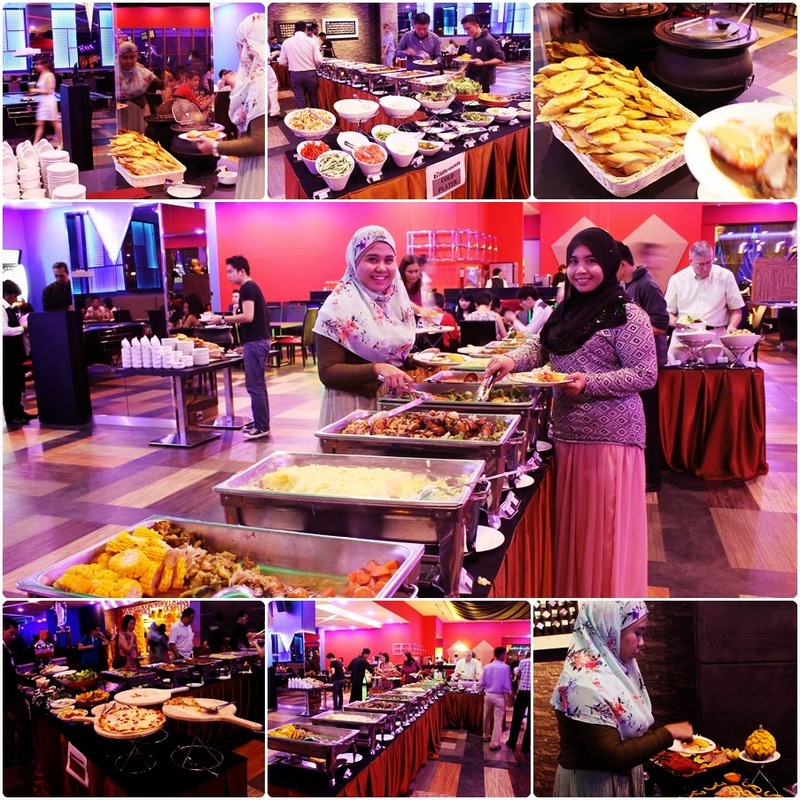 Besides that, the Ballroom has privates’ rooms for private party and corporate event that is equip with karaoke set. The karaoke sets have great sound system and big space in one room can fill with 10 packs in a room. A great way to relief stress by singing out loud with friends and family. The dart game is the first electrical dart board I’ve seen. Heheh, They have about 8 dart board offers. But, to play this you must first buy the token at the counter. This dart area is near with the bar, where you can order drinks and food here. This event was officially launched by the owner at the bowling alley. Here are some of the photos during the launching session. For RSVP, please call +603 22766077.